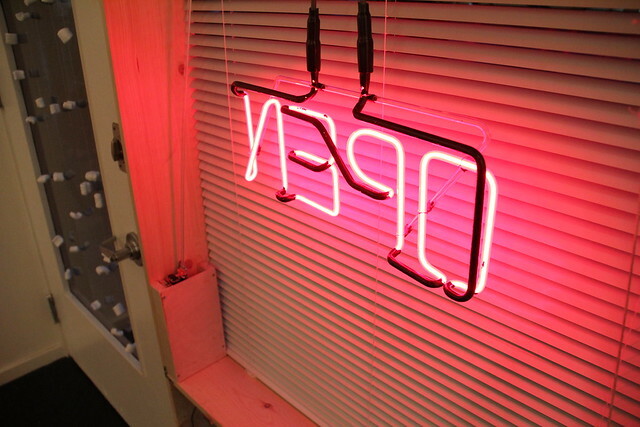 Max and I made our project with the blinds and the neon OPEN sign. It’s at Nationale, at 811 E.Burnside, through the end of 2010. In fact May told me tonight that maybe it will stay into 2011, but I suggest you go as soon as possible just in case. Here is a video of the thing in action at the shop, with real shoppers. Here is a gif from outside the window of it going. Here is a gif of the thing that turns the blind thing to close and open them. 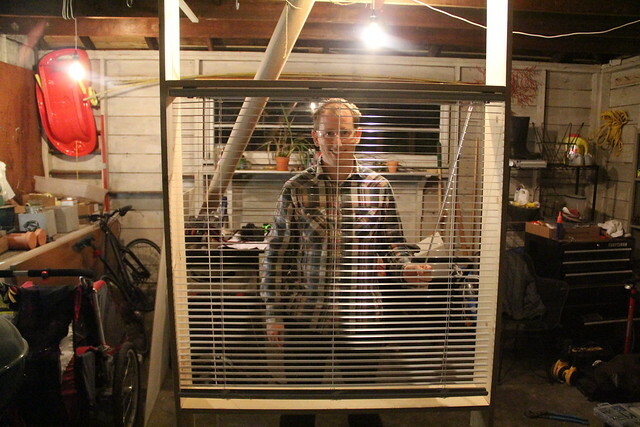 Here is a picture of Max testing the blinds out in his garage, where we did the work. Here is a picture of the sign being on. The person on Craigslist from whom I bought it told me that it was a fancy kind of Italian neon sign glass or something. It is nice. Here is a link to the page where, in 2009, I let it be known that I had more or less figured out how to make it work. Go see it! It’s at Nationale! Oh, and for anyone interested, here is the code I wrote for the arduino.